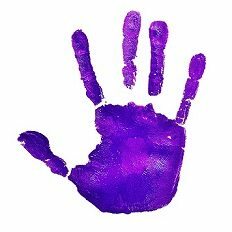 Domestic Violence & Child Advocacy Center is seeking an experienced HR/Payroll Specialist who will be responsible for the administration of payroll, human resources, and employee benefits. Responsibilities include maintaining payroll records, bi-weekly payroll processing, maintaining the agency’s HR files, annual reporting including OSHA, all exclusionary reporting, CMS reporting, and annual benefit census, managing all active job postings, initial resume screening, overseeing annual employee evaluation process, and managing annual benefit enrollments. Bachelor’s degree in Human Resources, Finance, or Accounting with thorough knowledge of the applicable compliance standards is required. Familiarity with ADP WorkforceNow software preferred. Successful candidates must demonstrate excellent communication and leadership skills and be willing to work extended or non-traditional hours as needed. Please send cover letter, resume and salary requirements to careers@dvcac.org . Domestic Violence & Child Advocacy Center is seeking part time Monitors for our Safe and Sound Supervised Visitation Center. Duties include, but not limited to, monitor visits between parents and children, monitor exchanges of children between parents, model and teach appropriate parent-child behavior. High School diploma and two years working with youth and families required. Qualified applicants must have a working knowledge of domestic violence and child abuse issues. Associates or Bachelor's degree preferred. Bilingual in Spanish & English a plus. Must be available Thursdays and Fridays starting at 3:30 pm, 4:30 pm or 5:30 pm until 8 pm and must be able to work weekends. We are closed major holidays. This position is a continuous need. Resumes are kept on file for a year and reviewed as openings occur. Send resume and cover letter to careers@dvcac.org. Domestic Violence & Child Advocacy Center is seeking an advocate for our confidential shelter. One full time candidate preferred but willing to consider splitting into two part time positions. Schedule is Saturday through Tuesday 1pm – 11pm. Schedule is non-negotiable. Duties include but not limited to: answering 24 hour Helpline; offering information and referrals; performing phone intakes; providing crisis intervention, advocacy, information and referral to shelter residents; determining eligibility of individuals requesting shelter; providing ongoing support and case management to residents; maintaining documentation; walking facility; engaging with residents; checking for safety and sanitation; and participating in shift change. Bachelor’s Degree in a human services field or equivalent years of experience preferred. Bilingual in Spanish and English preferred. Must have a valid driver’s license. Send cover letter and resume to careers@dvcac.org. Domestic Violence & Child Advocacy Center is seeking 3rd shift PRN (as needed) advocates for our confidential shelter. Work hours are 10pm – 8am and are non-negotiable. Duties include but not limited to: answering 24 hour Helpline; offering information and referrals; performing phone intakes; providing crisis intervention, advocacy, information and referral to shelter residents; determining eligibility of individuals requesting shelter; providing ongoing support and case management to residents; maintaining documentation; walking facility; engaging with residents; checking for safety and sanitation; and participating in shift change. Bachelor’s Degree in a human services field or equivalent years of experience preferred. Bilingual in Spanish and English preferred. Must have a valid driver’s license. Send cover letter and resume to careers@dvcac.org. Domestic Violence & Child Advocacy Center is seeking a full time youth advocate for our confidential shelter. Duties include but not limited to: answering 24 hour Helpline; offering information and referrals for youth clients; facilitating child based support groups; providing ongoing support and case management to youth residents; planning and supporting activities for youth clients (ages 0-17); maintaining documentation; engaging with residents; monitoring safety of youth areas; maintaining appropriate documentation; assisting with carrying out general shelter operations; and participating in shift change. Bachelor’s Degree in Social Work or related field preferred. Must have experience working with youth population and the areas of domestic violence and child abuse. Evening hours are required. Bilingual in Spanish and English preferred. Must have a valid driver’s license. Send cover letter and resume to careers@dvcac.org. Domestic Violence & Child Advocacy Center is seeking two full time Trauma Services Case Managers for our Trauma Services Department. Duties include, but are not limited to: providing case management, crisis intervention, safety planning, and advocacy to clients; connecting clients to agency and community resources; carrying out trauma informed practices and maintaining up to date knowledge of trauma informed care. Experience working with issues of domestic violence, child abuse, and trauma is required. Qualified applicants must have a working knowledge of community resources such as housing, food, financial, and general assistance as well as knowledge of victim’s rights within the state of Ohio. Bachelor’s degree in Social Work or related field and LSW licensure required. An equivalent combination of education and experience may be accepted in place of degree and licensure requirements. Successful candidates must demonstrate excellent communication skills and be willing to work some non-traditional hours as well as provide services in various locations. Must have a valid driver’s license. Send resume and cover letter to careers@dvcac.org. We are currently accepting 2nd year Masters level social work and counseling students who are currently enrolled in a CACREP and/or CSWE accredited institution. The following is an overview of the trauma therapy department internship. Interns will deepen their knowledge of trauma informed, evidenced based therapeutic work with individuals who have experienced a trauma within the realm of domestic violence and/or child abuse. Development of a knowledge base around domestic violence and child abuse will be done through readings, online trainings, consultation with therapy department staff and supervisor, staff trainings and observation of other agency programs. Engage children, adolescents and adults in trauma informed individual and group behavioral health therapy. Learn to identify necessary outside supports for clients engaged in therapy services including but not limited to: psychiatric services, support groups, case management, legal advocacy, etc. Develop strong skills around appropriate and ethical record keeping. At the conclusion of the internship, interns are expected to create a short presentation to highlight what they have learned throughout the course of the internship. Interns will work from DVCAC’s administrative offices located on Payne Ave. (or satellite sites, as needed) and will be able to complete their expected internship hours between the hours of 9a-7p M-TH and 9a-5p Fridays. 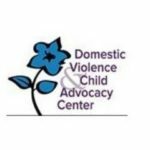 If you are still interested in an internship at the Domestic Violence and Child Advocacy Center please forward your resume/CV to internships@dvcac.org.